With the coming of the 21st 2018 Russia World Cup, for fans, do you have any memorable moments about the past 20th FIFA World Cups in 2014 or earlier? It is true that there must be so many forums showing you the list of the top 10 world cup moments, including the latest 2018 World Cup. Different people have different views about "Top 10" because every moment during the whole process of world cup is really worthy of memorization. 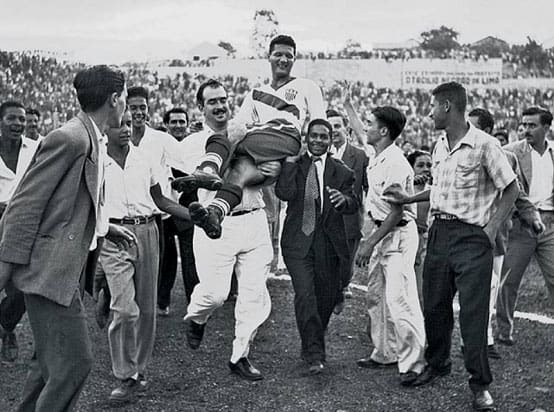 Here, we list greatest world cup moments for your consideration, which will remind you of those past unforgettable memories. These top 10 world cup moments you may have seen most of them at the scene or on TV and some recorded world cup videos even been stored in your camcorder. They have brought so much happiness for you all the time. And for these recorded 10 best world cup moments, do you want to put them into your portable devices like iPad Pro, iPhone X/8, HTC one, etc for watching at anyplace especially in this digital era? Definitely yes. 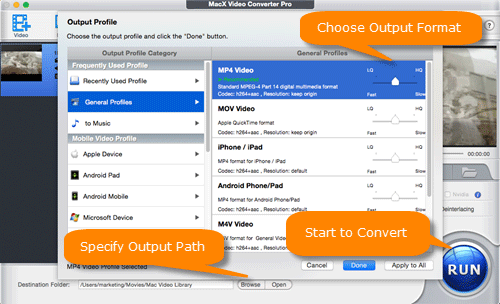 So, we will take iPhone x as an example to teach you a convenient way to convert them by MacX Video Converter Pro. By the way, the program can be obtained without costing a dime on condition that you join MacXDVD 2018 FIFA World Cup giveaway and vote for the team that you think it will win the Russia World Cup. Cristiano Ronaldo scored the first hat-trick in 2018 FIFA World Cup, becoming the oldest hat-trick scorer. Though, his team didn't win the match and ended in 3-3 draws against Spain, it was the most impressive moment from the 2018 tournament so far, especially the 88th minute free-kick. Cristiano Ronaldo's third goal was his first direct free-kick goal at a major football tournament for Portugal team. Germany crashes out of 2018 FIFA World Cup with a shocking 0:2 loss to South Korea. Thousands of fans were upset and in tears after the match. The funny explanation for Germany's exit is the World Cup champions' curse. Many champions are knocked out of the group stage of the next tournament, including Spain, Italy, Spain, France, and more. The highlight of this match was Robin Van Persie scored. Dutch took well control of the game and never relented so that ended with a 5-1 score. England possibly got the worst start in 2014 Brazil World Cup because the playing style of Italy is too perfect for tournament play so that England' s blood-and-thunder approach was badly exposed and was beaten 2-1 by Italy. 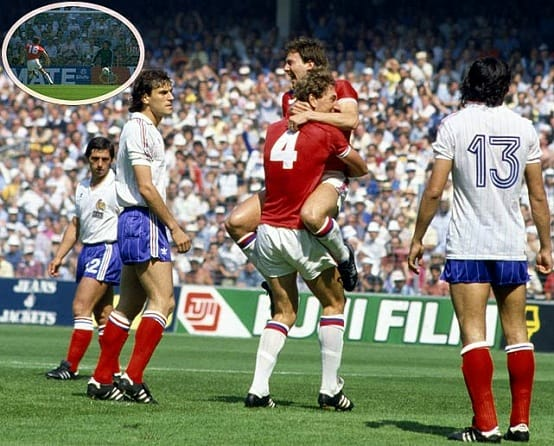 Diego Maradona dribbled past 3-4 English players, played a one-two, got it back and rose above Peter Shilto's head. It looked like a good goal at the first sight, but it wasn't when watching the replay. This is the biggest case that's wrongly charged in world cup history. It was called the worst and most brutal tackle on a soccer field. Battiston lost 3 teeth and his life even was in danger. Tardelli tore and fisted to celebrate West Germany the second scored goal, which is considered the most memorable moments in the history of the world cup. England's Robson broke the door of the French team at the first 27 seconds that is the fastest world cup goal so far. Pele strongly shot and England goalkeeper Gordon Banks struggled to save the ball. This is considered as the greatest football fighting. Cruijff pretended to shot by right leg quickly across the footabll rather than touching the ball and then knocked the football behind his own to the left, quickly turned his body and shot by his left leg. This is the first time fans see this kind of action. U.S team composed of the amateur players got a 1:0 victory over the favorites England. Zico's winning goal was disallowed by referee because the ball was in the air when hearing the whistle. Some people claimed this goal should be effective. 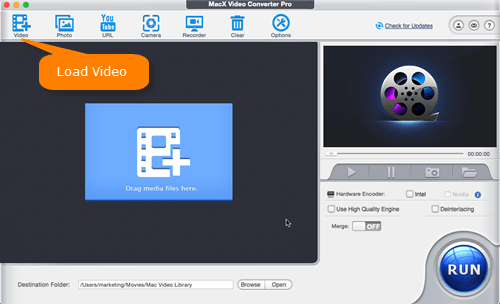 Download and launch MacX Video Converter Pro, input recorded video by hitting "Add file" or just drag the media to the main interface directly. Select "iPhone X" in the Apple device subcategory as the output profile. Or directly go to General Profiles and select MP4 Video as output. Choose the destination folder for saving the output profile by clicking "Browse". Start converting by clicking "RUN". Then you will see the process of converting top 10 world cup moments to iPhone X or stop it at anytime. When finishing, you are allowed to watch them on the move. However, this video converter software also is capable of downloading 2018 World Cup video from YouTube and converting them to any device like Apple, Sony, Android, etc for enjoying or sharing at anytime and anyplace. 2018 Russia World Cup is coming soon! How about enjoy the World Cup theme songs first? Here lists out the best FIFA World Cup theme songs to warm up your passion to World Cup and solution about how to download World Cup Theme song for on-the-move enjoyment. Ever wonder how to download 2018 World Cup video with no cost? This article will tell you how to free download 2018 20st World Cup video and convert it for playback on iPhone, iPad, Android in a flash. 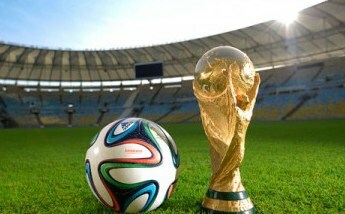 Eager to free download We Are One Ole Ola - 2014 FIFA world cup theme song for enjoying it on your device? Here MacX YouTube Downloader provides an easy World cup song We Are One Ole Ola free download solution for enjoying it without the annoying distraction from the slow network.